Unless you’ve been living under a rock, you know that Brand Intervention, 33 Steps to Transform the Brand You Have into the Brand You Need, is finally going to be able to be purchased so these powerful tools can be put to use. 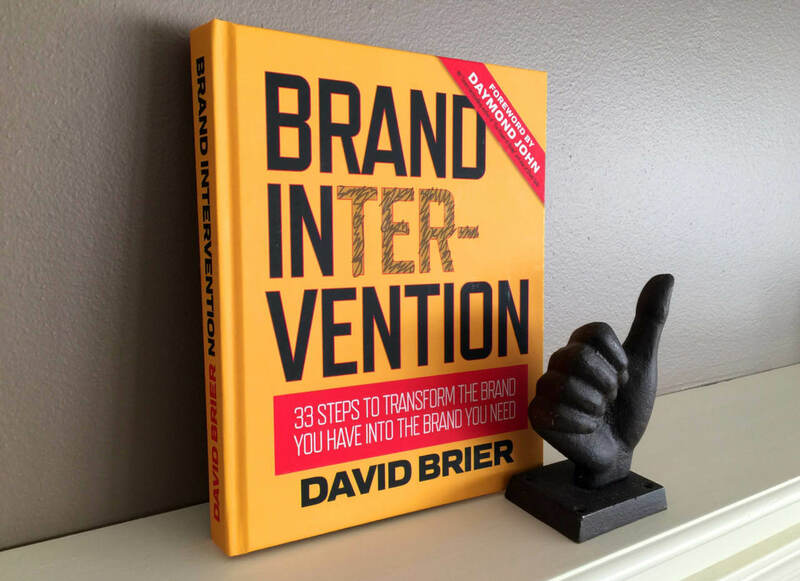 What the hell does Brand Intervention, the book, have to do with chocolate? When the planning for the launch of Brand Intervention came up, I had the brainstorm to get chocolate and coffee involved (the coffee part I talk about next week). Why? For the epic upcoming Webinar (on December 13th) to reward (or bribe, depending on what neighborhood you’re from) to the first 30 people who bought their hardcover copies of the book! The idea: conceive and design a limited-edition dark chocolate bar. So I reached out to the fantastic Noteworthy Chocolates owners, Jennifer and Michael, learning they laser engrave designs into exquisite Guittard chocolate, the oldest continuously family-owned chocolate company in the United States, family-owned for more than four generations (founded by Étienne Guittard who emigrated from Lyon, France in the 1850s during the California Gold Rush). 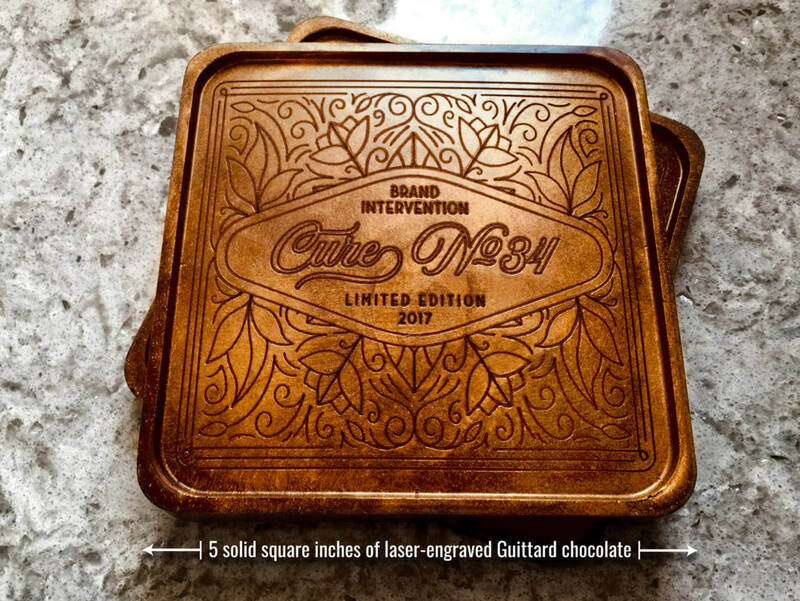 While they loved the design, it needed to be modified since working with laser engraving has its own unique qualities. For example, we had to very thin lines since the lines thicken in the laser engraving process. And the thin lines prevent the chocolate from burning. So we did some tests. And we finally nailed it: 5 inches of solid square 61% dark chocolate heaven. 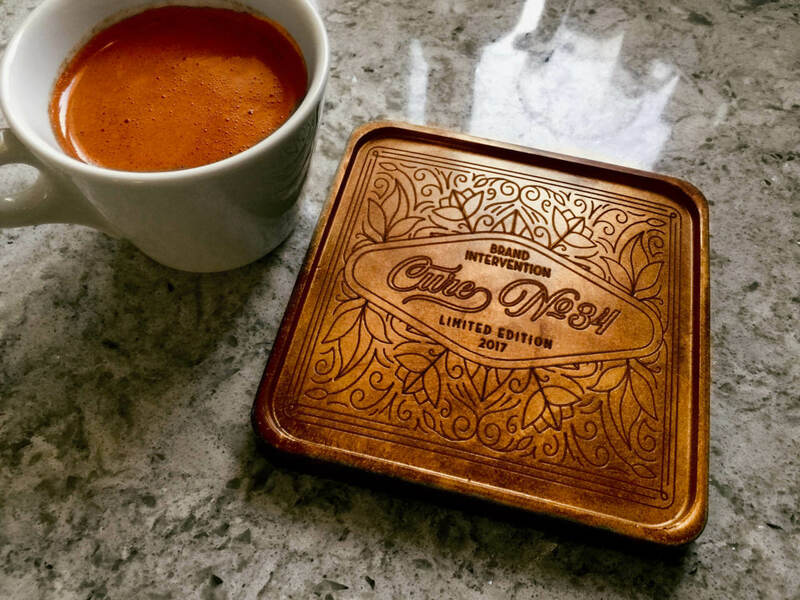 Not only is it beautiful, but the world-class chocolate is known for being finely crafted, sustainably sourced, exceptionally delicious, and gluten-free. 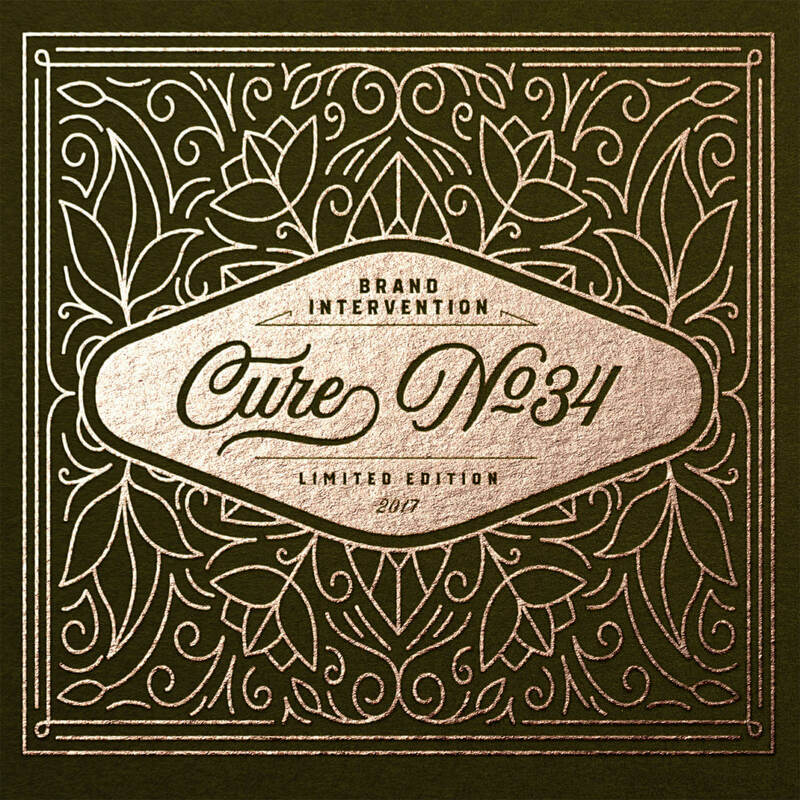 Well, the book outlines 33 steps to transform any brand into the brand it needs to be. What if by some weird set of factors, the 33 steps didn’t help you achieve the exact results you were seeking? The answer: Cure No. 34 since fine dark chocolate pretty much cures anything. How to get yours? Join us on December 13th and be one of the first 30. 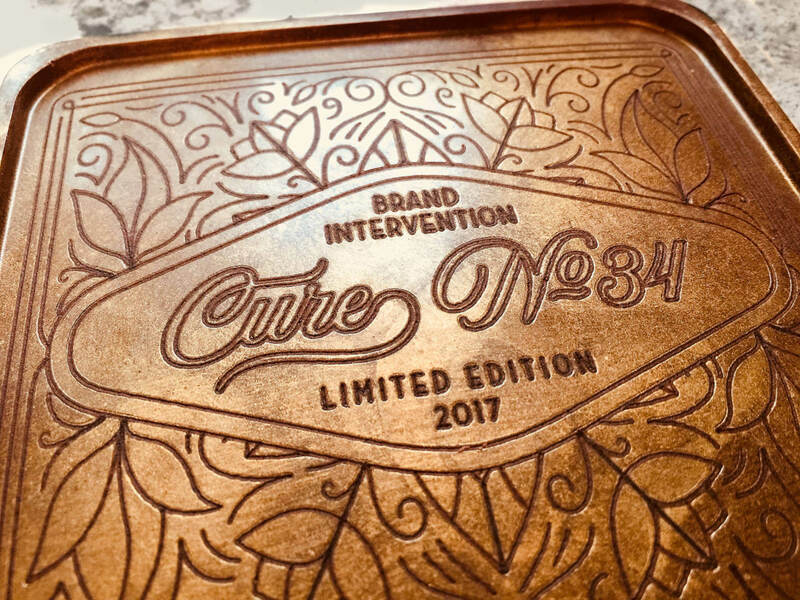 (And for the ever-curious folks, 34 of these were made in total, 4 samples to verify and perfect the design, and 30 for the lucky winners at the Webinar, making the number 34 even more meaningful).